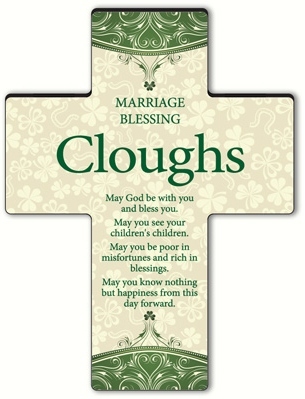 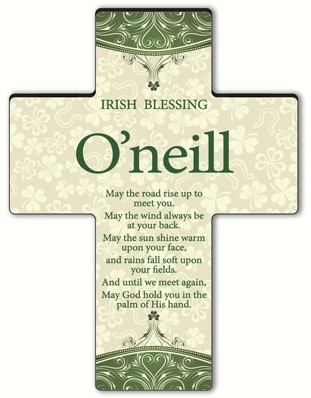 * Proclaim your faith and ethnicity with our beautiful personalized Classic Irish Cross. 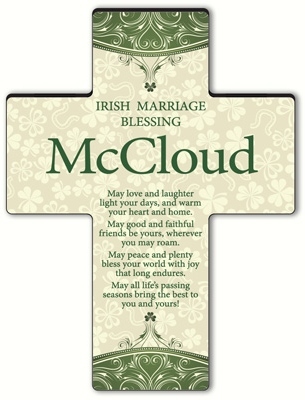 * Decorated at the top and bottom with the green hues of the Emerald Isle and graced with tiny shamrocks for good luck, this cross can include one of eight Irish poems suitable for many different occasions. 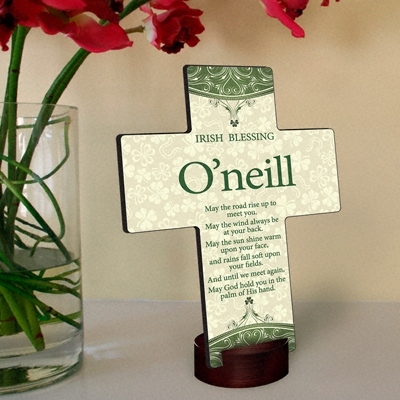 * This cross is printed on a durable composite material and features the first or last name of the recipient.